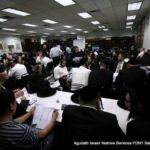 Are the fire and safety protocols in my child’s yeshiva sufficiently rigorous? 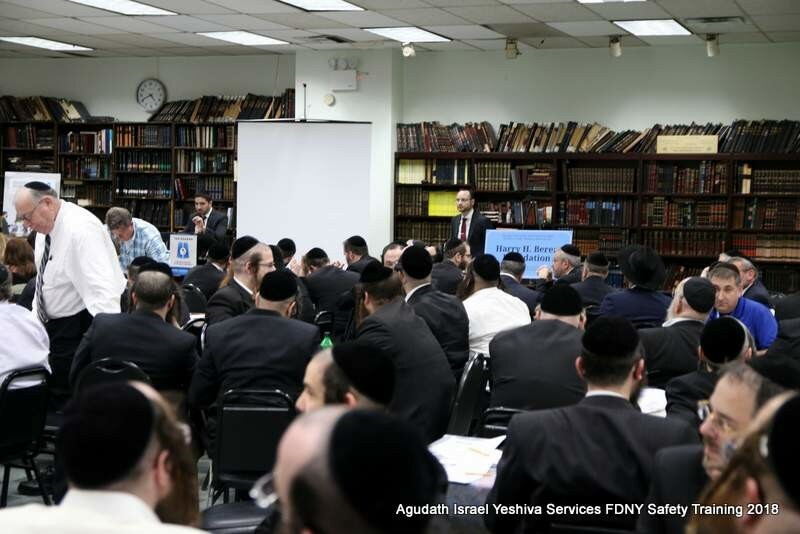 Well, thanks to a recent collaboration between FDNY and Agudath Israel of America, those safety protocols in NYC just got a bit more robust. 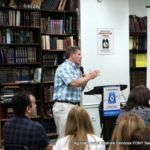 The New York City Fire Department (FDNY) requires that certain buildings maintain a staff member appropriately trained and certified by FDNY in fire and safety protocols. This individual is charged with overseeing many building fire and safety requirements, including understanding how to quickly react to fire, chemical, human (e.g. active shooter), and other threats; maintaining fire extinguishers and equipment; and training staff and other occupants in best safety practices through drills and instruction. 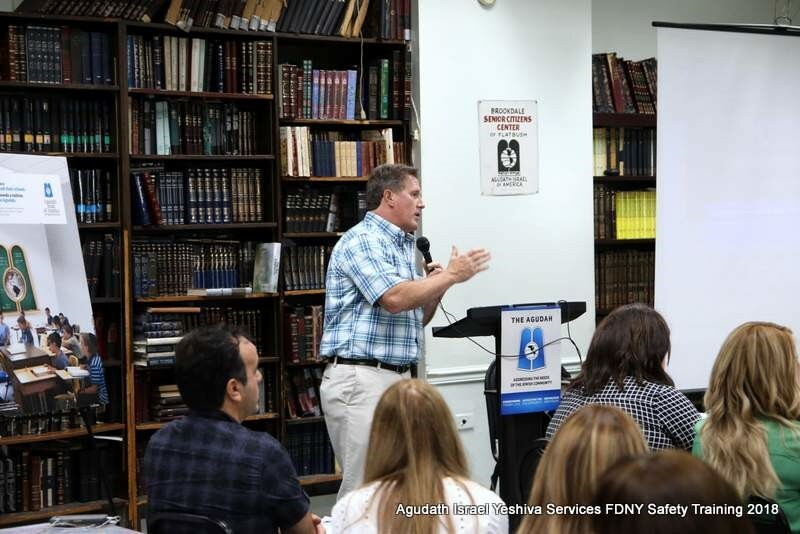 Recognizing that a school full of children presents a different set of safety challenges than an office building, FDNY developed a different certification course geared specifically to school principals. 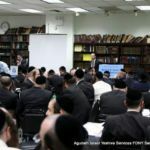 As Avrohom Weinstock, Esq., Agudath Israel Chief of Staff and Associate Director of Education, explained at the program’s opening, for years a void existed. 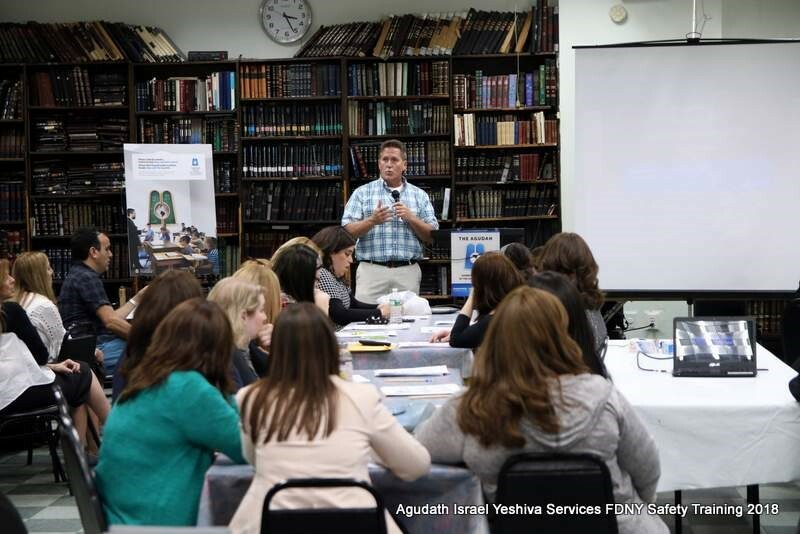 There is a certificate and training program available to public school principals. And there is a certificate and pathway designed for general building safety. 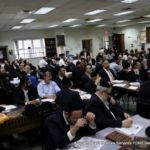 But there was no appropriate certificate and course for nonpublic school principals. 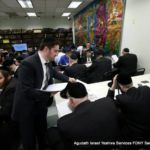 For nonpublic schools to comply with the requirement of having certified fire and safety personnel, if even aware of this requirement, yeshiva principals or administrators were forced to train and sit for the generalized building certificate. This certificate is cumbersome to obtain and contains either extraneous or insufficient information for the needs of a school. This begged the question – what of our children? 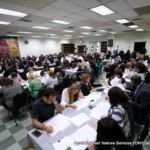 Why can’t our school principals receive the training and certificate that best suits our schools’ needs? 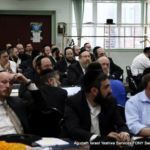 “This longstanding gap ends today,” said Mr. Weinstock to an enthusiastic crowd at Brookdale Senior Citizen Center in Brooklyn, NY of nearly 150 NYC yeshiva principals and administrators. 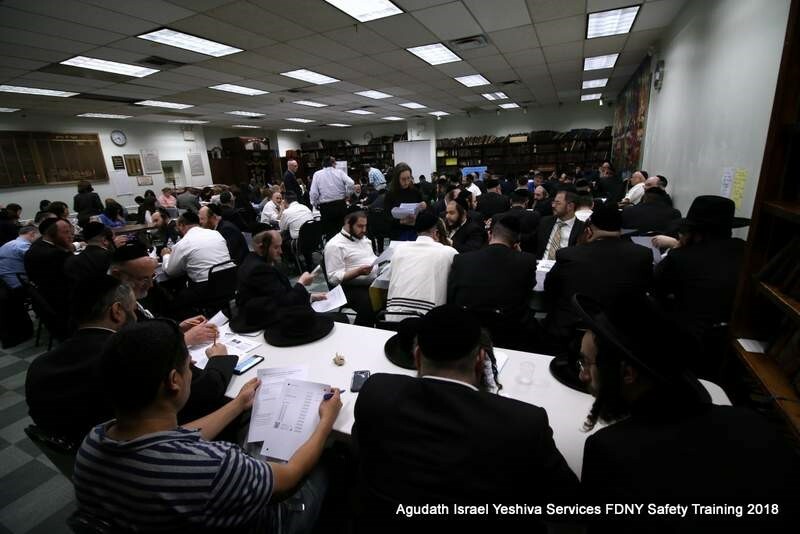 Agudath Israel was made aware of this inequity and safety gap several months ago. 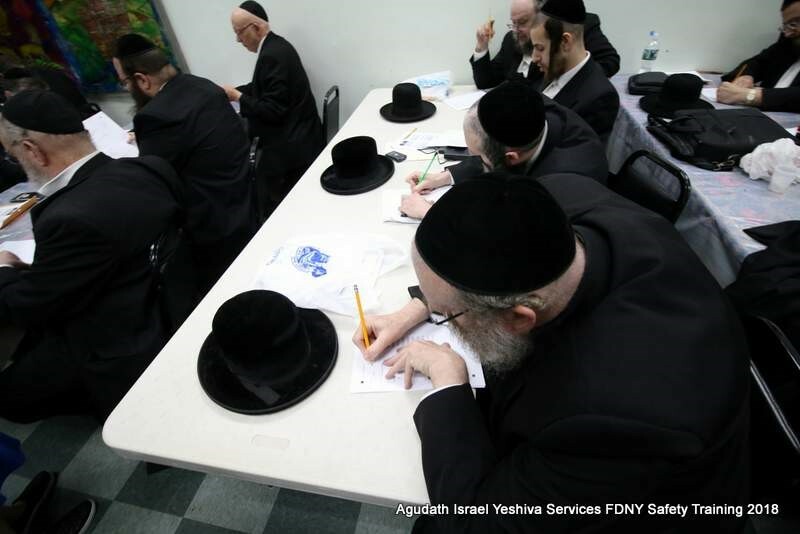 Together with the Archdiocese of NY, it led a coalition of nonpublic school groups in partnering with FDNY. 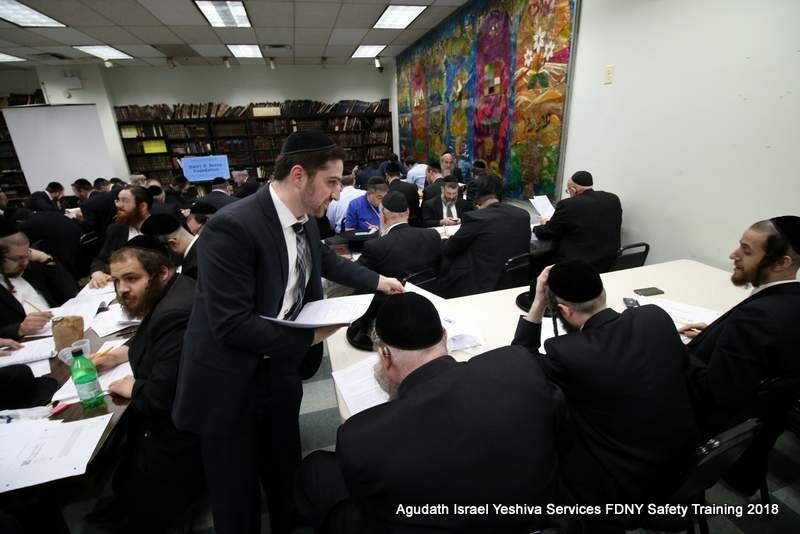 FDNY was receptive, and worked hand in hand with Agudath Israel and other groups to develop a new certificate to specifically address the needs of children in yeshivos and nonpublic schools. 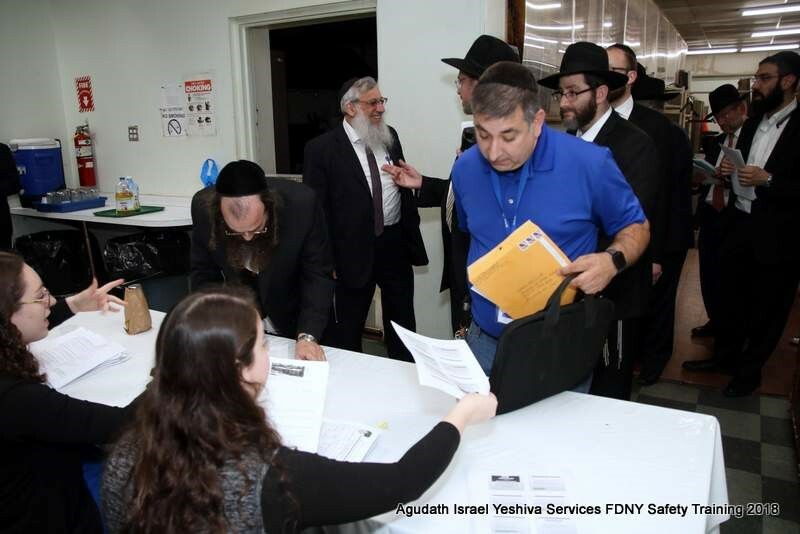 At Agudah’s inaugural Yeshiva Expo this past October, FDNY and Agudath Israel made a joint presentation to the yeshiva community to spread awareness of this safety requirement and to make known the groups’ intention to work together to create a new certificate for nonpublic schools. That partnership bore fruit this past Wednesday, May 23rd. 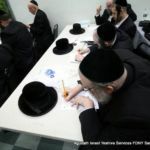 Following months of discussion and preparation, a study guide, live teaching component, examination, and documentation protocols were created for yeshivos to receive a first-of-its-kind, nonpublic school tailored, safety certificate. 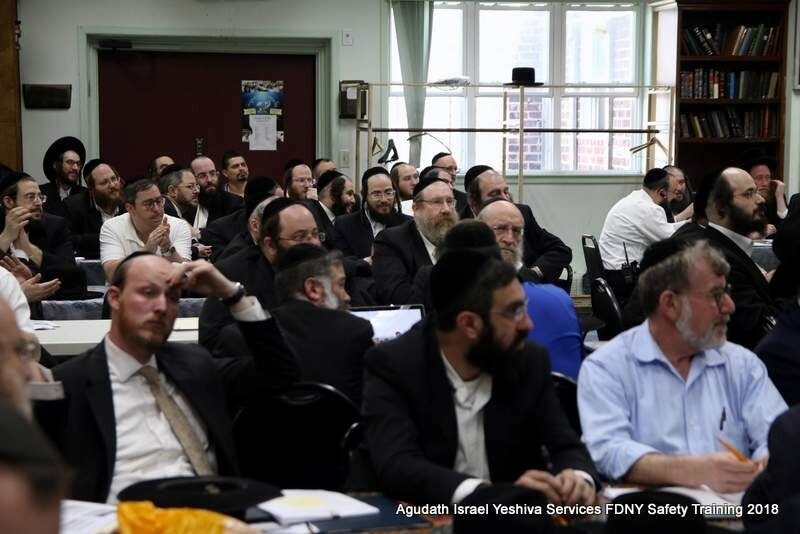 The certificate, dubbed the D-20 Fire and Emergency Drill Conductor Certificate, is being administered by Agudath Israel under the aegis of FDNY to eligible nonpublic school principals and supervisors. 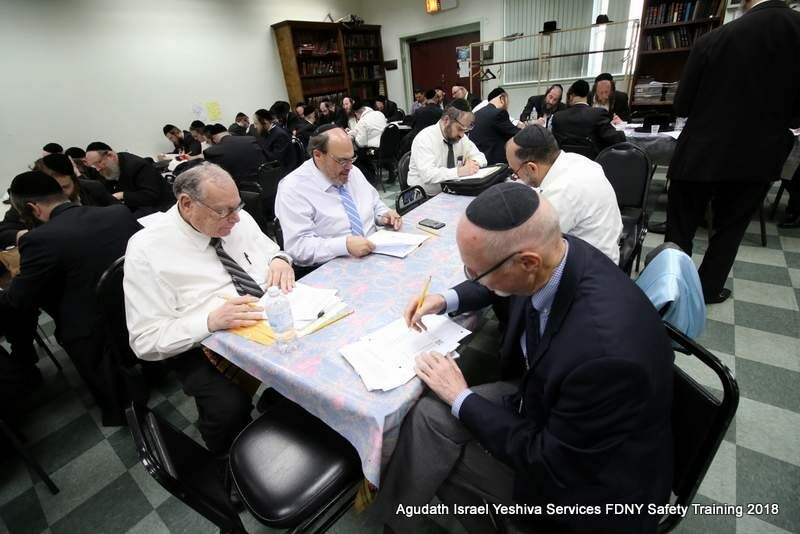 “While Agudath Israel will be spending the next few weeks processing and submitting the exam results and multiple notarized documents from applicants to FDNY, we are happy to do it,” explained Mrs. Deborah Zachai, Director of Education Affairs. “Mr. 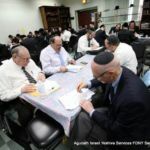 Weinstock, Rabbi Bazov, and I all felt this is something we must undertake; there is nothing more important than the safety of our precious children.” concluded Mrs. Zachai. 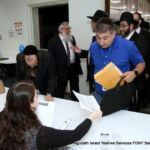 Those who missed this first administration of the Certificate may partake in a follow up administration Agudath Israel is already planning for this fall. 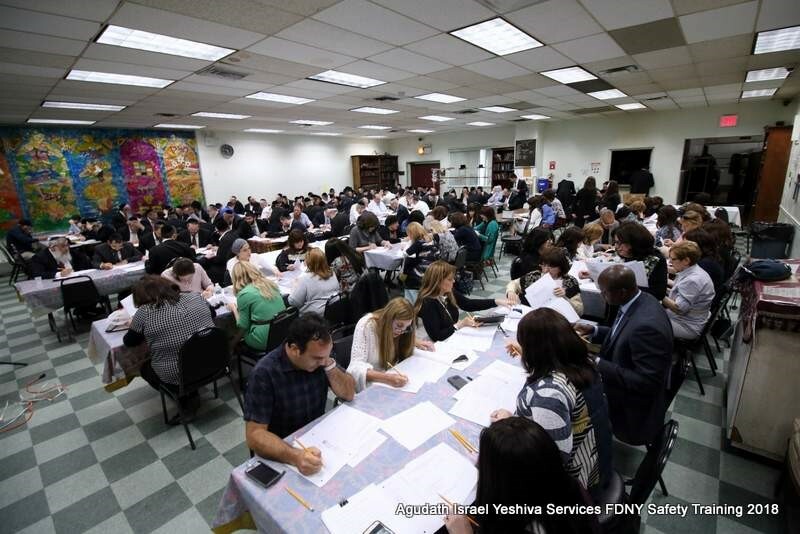 The overflow crowd was a kiddush Hashem that attested to the import yeshivos place on safety and legal compliance. 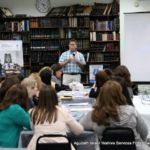 Agudath Israel thanks the Beren Foundation, and its unstinting dedication to fostering enhanced dina d’mallchisa dina, for its assistance with this event. 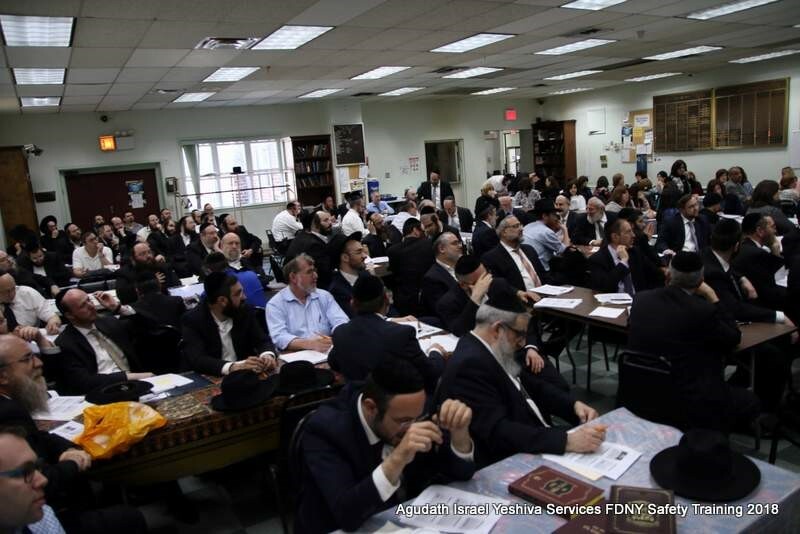 May Hashem see our eagerness to put in place the appropriate safeguards towards “venishmartem me-od es nafshoseychem” and merit that our schools never require the expertise of fire and safety trained personnel!